Prakash Belawadi is contesting as a candidate for Loksatta Party (LSP) from Sunkenahalli for Ward No 142 for the BBMP Elections to be held on 28 March 2010. 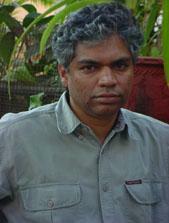 Prakash Belawadi is a journalist and a theatre enthusiast who has directed a film called "Stumble" which won a National Award in 2003. He studied at Mahila Seva Samaja and later in National High School and National College. He has different issues in his mind where he want to see developmental activities to take place and if elected promises to take the below mentioned issues. 1. Ensure all voters in your household are on the voter rolls. If not, please do so right away.